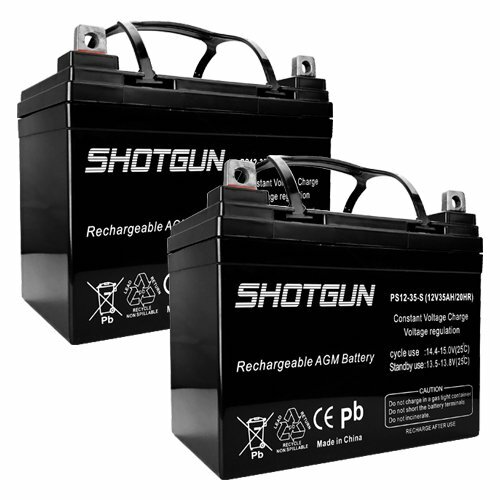 12v 35ah Battery is a True sealed and maintenance-free design, you'll never have to check or add electrolyte again, unlike conventional batteries which require periodic fluid checks. The battery case is made from a Non-Conductive ABS plastic, Strong Resistance to Shock, Vibration, Chemicals, Weather and Heat. Very easy to install and requires no maintenance. If you have any questions about this product by Shotgun, contact us by completing and submitting the form below. If you are looking for a specif part number, please include it with your message.